Leica Microsystems have produced a new optical concept incorporating the patented Fusion Optics technology the Leica M205 FA is the world’s first fluorescence stereo microscope with a 20.5:1 zoom to achieve an optical resolution of 0.952 µm. The patented Triple Beam technology ensures crisp images with strong fluorescence signals against a perfect black background, the full apochromatic correction prevents chromatic aberrations. 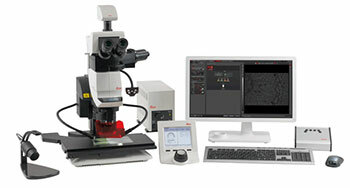 The Leica M205 FA is a coded and motorized microscope.